More tough news for the Alouettes as slotback Jamel Richardson has been lost for the remainder of the 2013 season. J-Rich suffered a torn LCL and ACL in his left knee during practice on Sunday and will require surgery. The expected recovery time for the injury is 9 to 12 months. 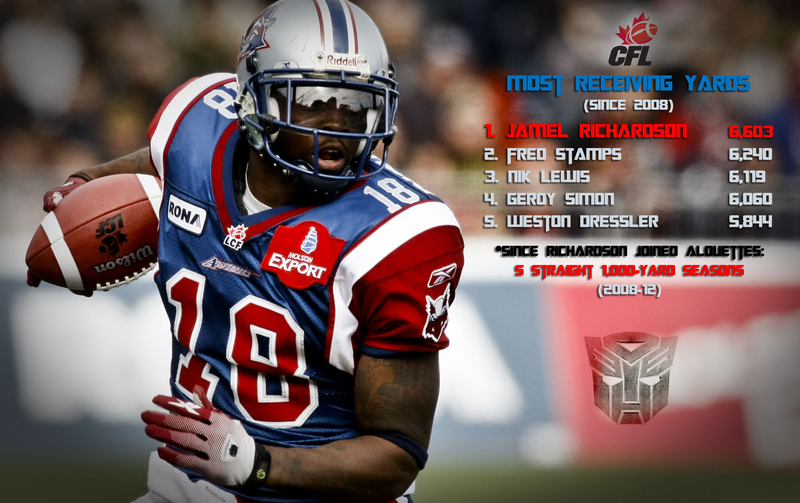 Despite a dip in production last season and numbers that reflect the Als’ slow start this year (197 yards in 5 games), Optimus Prime still has the most receiving yards in the CFL since joining Montreal in 2008.